Marvel’s Spider-Man has already broken a few sales records. Now, the title deserves applause for accomplishing another feat, as it has become the fastest-selling superhero title in the United States. The sales data responsible for this conclusion only takes into account the game’s first three months on the market and does not include the sales of PlayStation console bundles that feature the Insomniac game. Considering the rather limited number of superhero-centric games on the market, this may not seem like too much of a win. However, this revelation means Marvel’s Spider-Man, a PlayStation 4 exclusive, is outselling the likes of the Batman: Arkham series, LEGO superhero titles, and previous Spider-Man games. It’s an impressive feat, indeed. The news comes on the heels of the Sam Raimi Spider-Man suit being made available in the game. Anyone who owns Marvel’s Spider-Man can access the movie suit via a free update. Fans have even more Spider-Man goodness to look forward to, with the final DLC expansion releasing imminently. The Silver Lining DLC will go live on December 21, 2018. In this content, Silver Sable takes center stage. 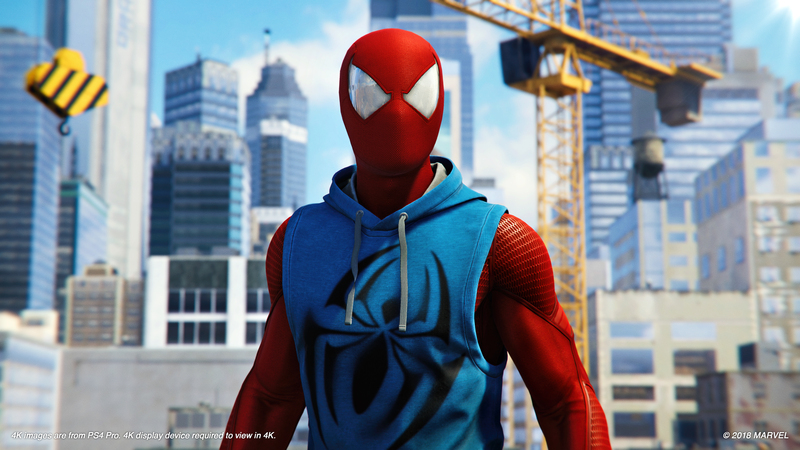 Three new suits will also feature in the DLC, and they are the Aaron Aikman Armor Suit, the Cyborg Spider-Man Suit, and the Into the Spider-Verse Suit.